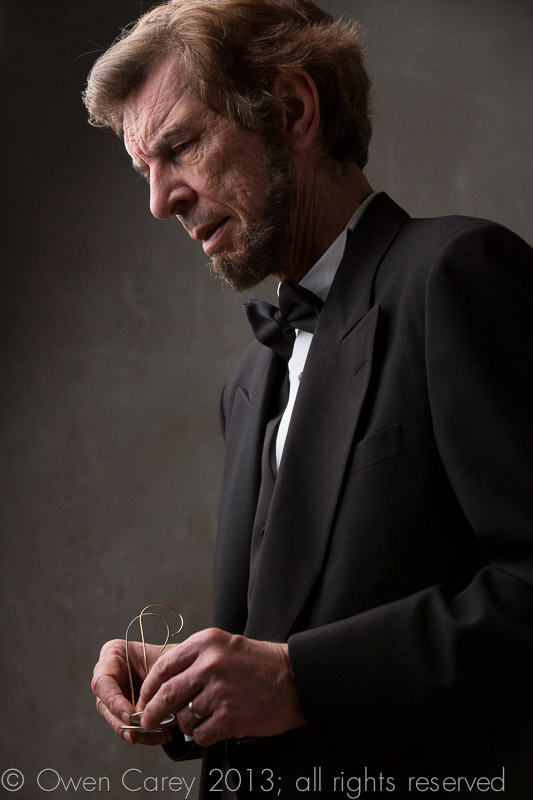 Heralded Lincoln portrayer, Steve Holgate is bringing his two-act play, A. Lincoln to a sold-out crowd at the Lakewood Theatre Company at 368 S. State St. next Tuesday, November 19 at 7:00 p.m. on the 150th anniversary of the Gettysburg Address. (Another performance has been scheduled for Monday, February 17, 2014). Holgate will breathe life into our nation’s most popular president through the retelling of his letters, speeches, newspaper stories and in conversations with imagined characters. Since this month’s performance sold out, I’d advise you buy your tickets now for the February show. Whether you attend or not, here’s a chance for you to hone up on your Lincoln trivia in honor of the Gettysburg Address. While Lincoln tops out on most “greatest president of all time” surveys, he came in second to Ronald Reagan in a 2011 Gallup poll. John Wilkes Boothe managed to hide out for 12 days after assassinating Lincoln before he was found. Despite his often dour appearance, Lincoln was known for having a sense of humor. Lincoln was not the featured speaker at the dedication of the Gettysburg national cemetery the day of the address. Boston Orator Edward Everett was, and he delivered a two hour speech recounting the war that by all accounts kept the audience enthralled. Lincoln hid his mail, bankbook and important papers in his stovepipe hat. One of Lincoln’s fondest food memories was the gingerbread men his mom used to bake. Lincoln’s image isn’t only enshrined at the Lincoln Memorial in Washington, D.C. He is also honored at the National Wrestling Hall of Fame in Stillwater, Oklahoma. To date, they’ve only been able to find one recorded defeat in the 12 years he competed. Like what you see here? Consider subscribing to “52 Reasons to Love Lake Oswego” by clicking on the “Sign me up” button in the top right hand column. Or if you already are a subscriber, tell your friends to check out what they’ve been missing! Share the link through Facebook or email. Appreciate your spreading the word. This entry was posted in Things to Do in Lake Oswego and tagged A. Lincoln, Lakewood Theatre Company. Bookmark the permalink.